Today’s photo inspiration comes courtesy of my wife who cooked up some steamed buns tonight. The are 100% home made. These particular steamed buns are filled with chicken. It’s such a simple food but so tasty. 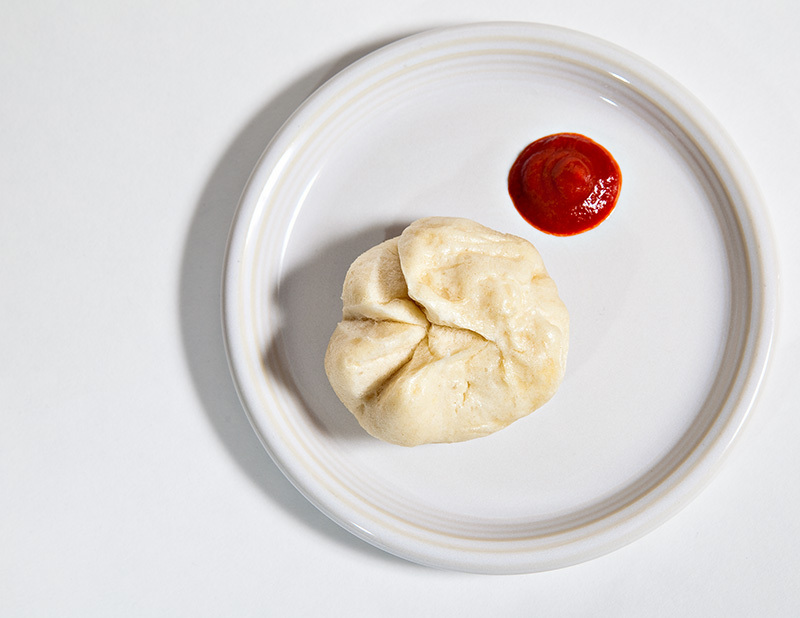 I was going to put just the steamed bun on the plate for the photo but thought the touch of color the small pool of sriracha sauce made added to the image. For this photo I used a Canon 5DII and a Tamron 28-75mm f/2.8 lens. I used some card stock paper for the background. I had a Canon 580EXII at full power in a shoot through umbrella high and camera right. I also had a Canon 430EXII on 1/16th power low and camera left to try and fill in the shadows a bit. It’s didn’t work out quite as I intended but I still like the end result.